Home/St. Valentine’s Day Flyers, Icons, Banners, Videos, and More Coolest Things. Enjoy! St. Valentine’s Day Flyers, Icons, Banners, Videos, and More Coolest Things. Enjoy! The Legend of St. Valentine as well as its history and the destiny of its patron saint – are covered with mystery and a lot of myths. The 14th of February has long been considered to be a romantic date and today this holiday is a mix of ancient Roman and Christian traditions. People celebrate this holiday by presenting romantic gifts to their beloved, they bring sweets, flowers and valentines cards, and they organize awesome parties to have a lot of fun. So now when you need to promote a party, you can print bright flyers and send them to all the guests you’d like to invite. 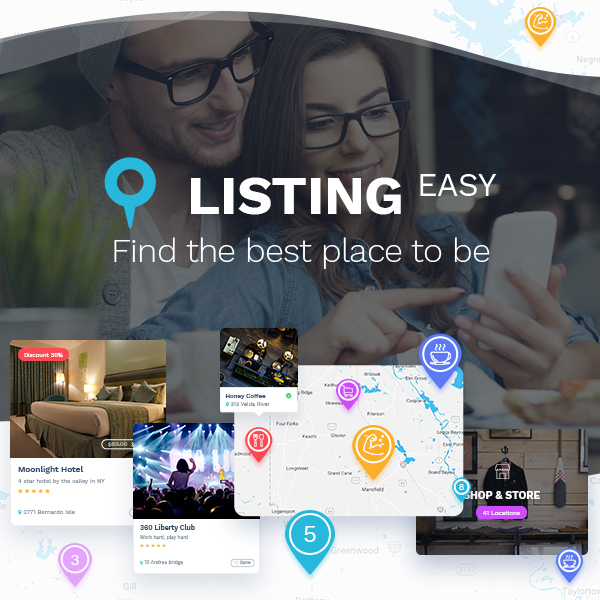 Browse the collection to find coolest flyer templates, splendid decorative vectors, icon sets, banners and ads, stock footage, and much more. Enjoy! A vector set of vintage pop art comic fashionable love badges, patches and stickers. They are available for greeting cards and print design. Print marks of female red lips. 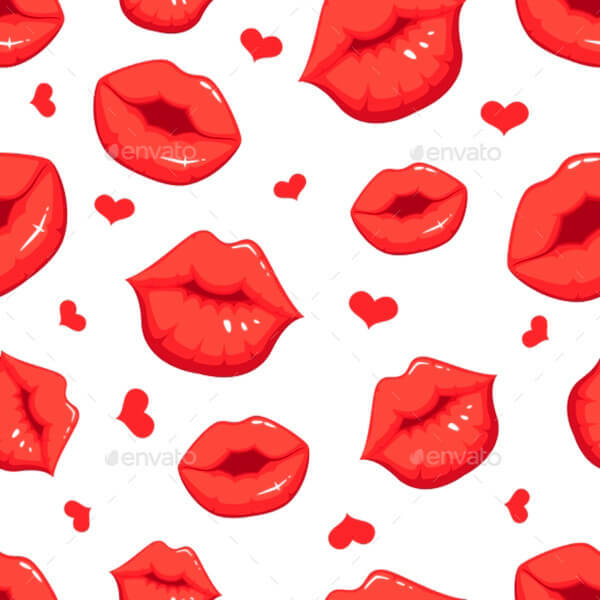 This is a vector seamless pattern with red lips kiss. JPEG and EPS formats are available. 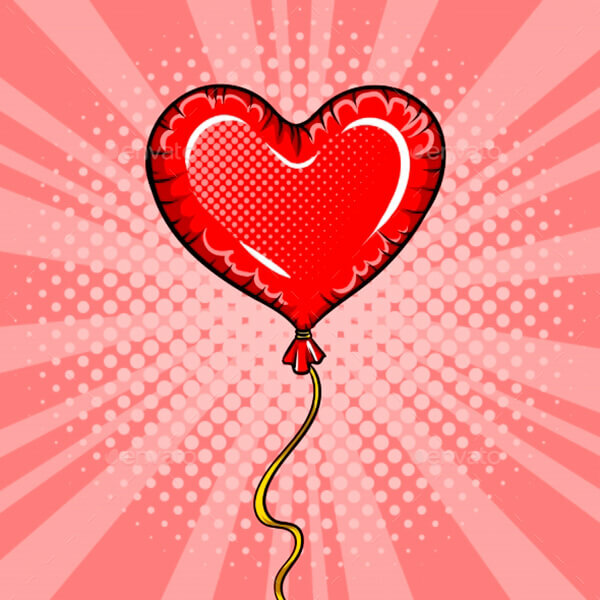 A heart shaped red balloon – pop art retro vector illustration. This is a love symbol which imitates a comic book style. An isolated illustration depicting female red lips. These are the party comic icons set where you will find the lips drinking, blowing, kissing, singing to microphone, eating cakes, etc. 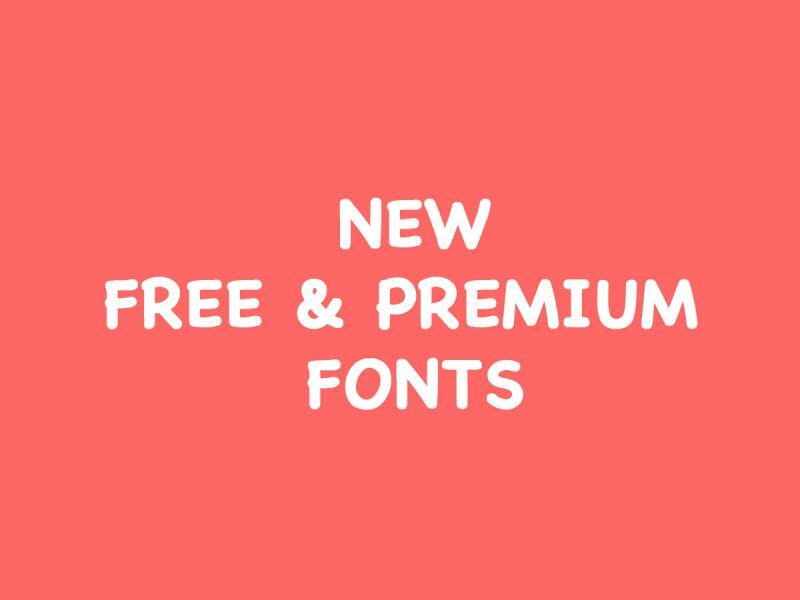 Editable vector illustration, EPS and JPEG formats. 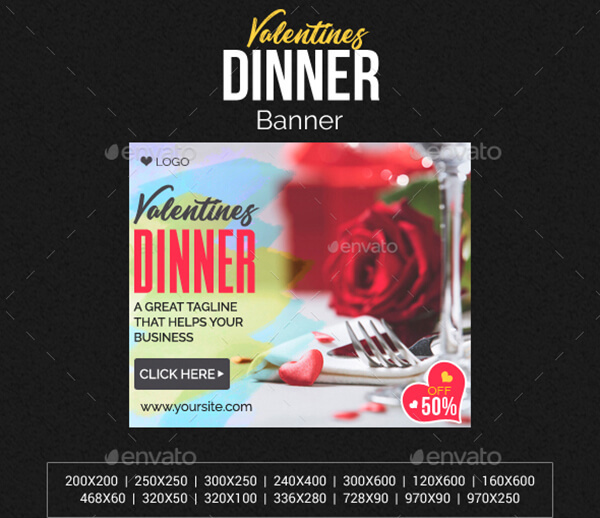 Valentine’s Day dinner web banners available in 14 layered PSD files. The banners are fully editable, come in 72 dpi, RGB color mode. 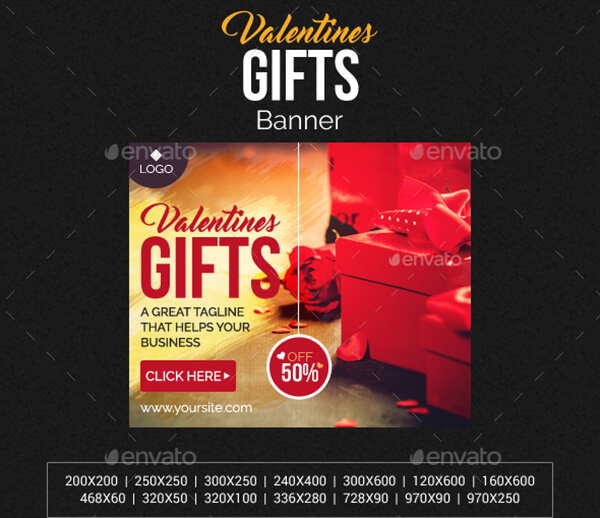 Valentin’es Day gift banners which come in fully editable PSD format with well organized layers. RGB color mode, 72 dpi. A great looking banner set including 14 awesome banners available in PSD files. The files include Facebook ad sizes. 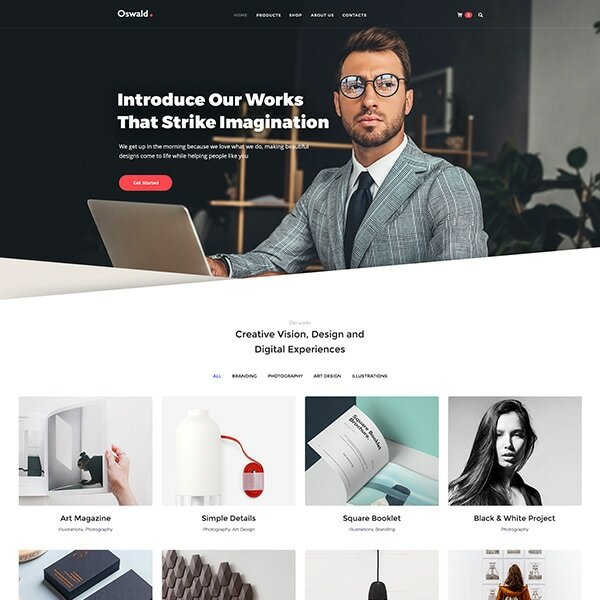 All of them are suitable for your services, products, campaigns, etc. A good looking banner set you can take to promote your products and services. 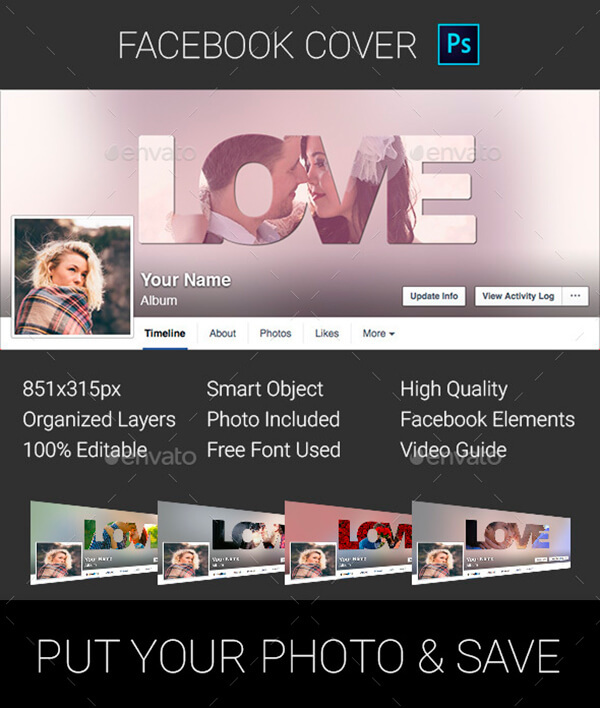 You get 14 banners of perfect quality and with well organized layers. All of them are compatible with Google AdWords and and Adroll. 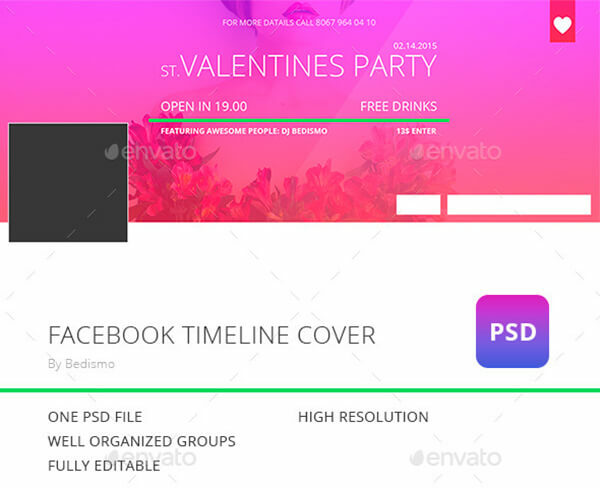 A flat and easy ST. Valentine’s Facebook timeline cover for awesome holiday party. 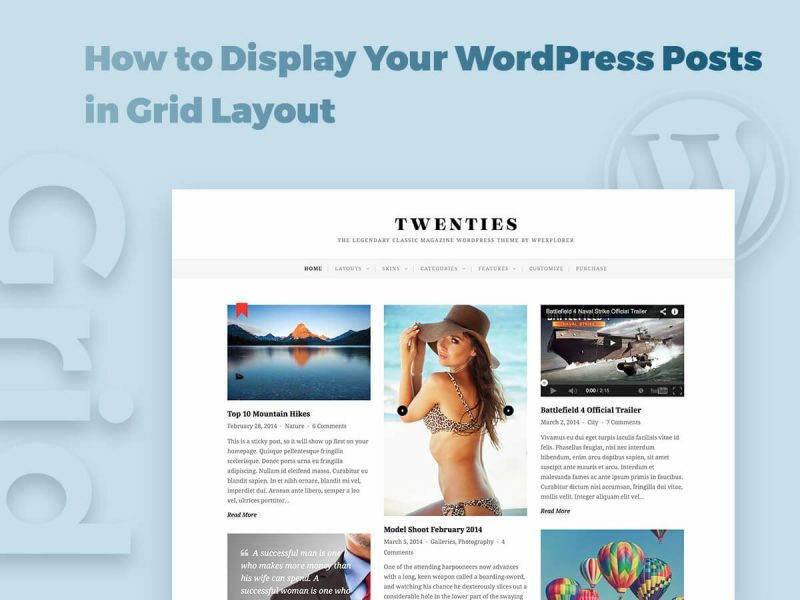 Check the background and content up to your needs. 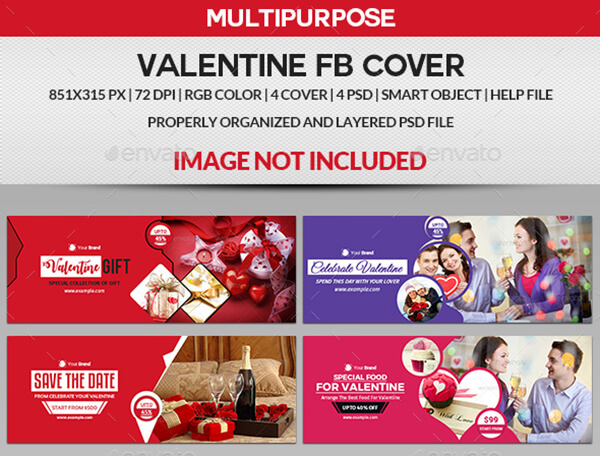 Another Valentine’s day Facebook cover suitable for any related celebration, a memorable day, love party, or any multiple purposes. All texts, images, color are editable. A beautiful Facebook cover which will help you show your feelings to your beloved. This cover is Ideal for St. Valentine’s Day or for every day usage. 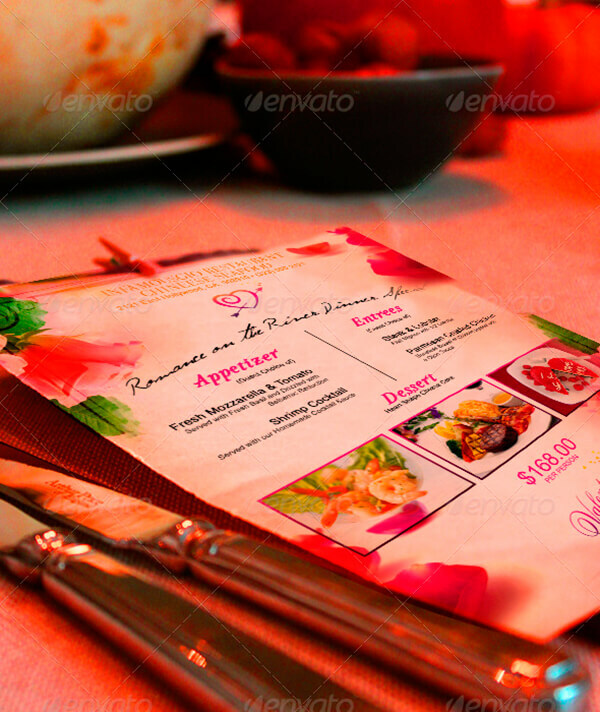 A food menu template suitable for your restaurant. 8.75×11.25 with bleed • CMYK – RGB mode. Layered PSD. A flyer template nice for celebration party. It is very easy to edit the text, colors, images etc. The PSD print file is set at 1275px1875px – 4.25X6.25 inches with bleeds, 300 dpi, cmyk mode, printable version. An A5 flyer for a special evening in a club, bar or any other kind of place including private ones. 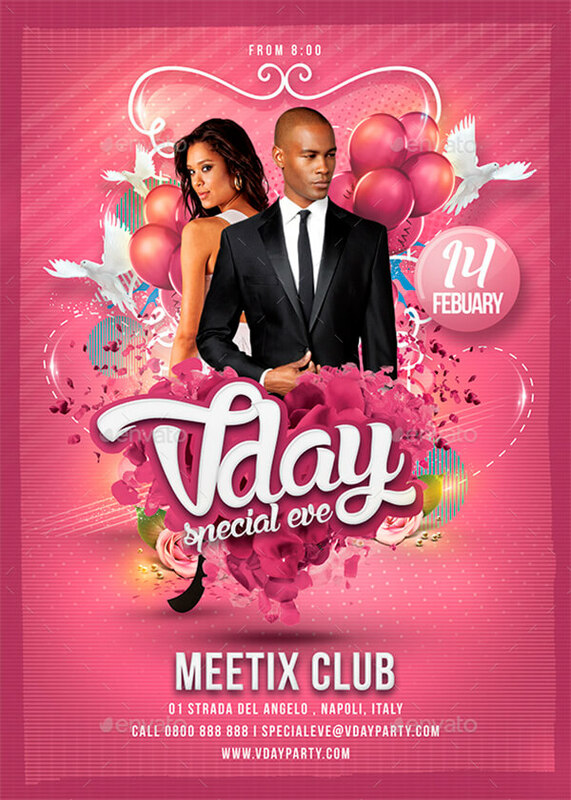 The template is suitable for any St Valentine’s Day event or festival. You can also use the flyer to promote a DJ, singer, etc. 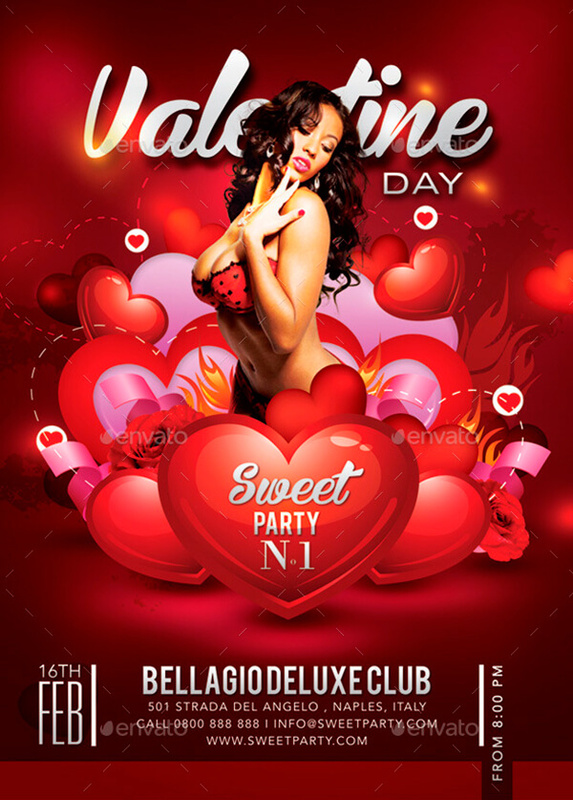 A Vday flyer made for any party or celebration in any club, bar, private place or public place, for any special evening or valentine related special event. A5 format, print ready and with cmyk color mode. 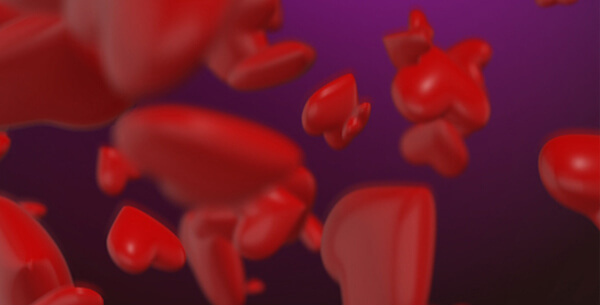 A hearts falling animation dedicated to Valentine’s Day and quite suitable for greetings and congratulations, advertisement, etc. FullHD : 1920×1080. 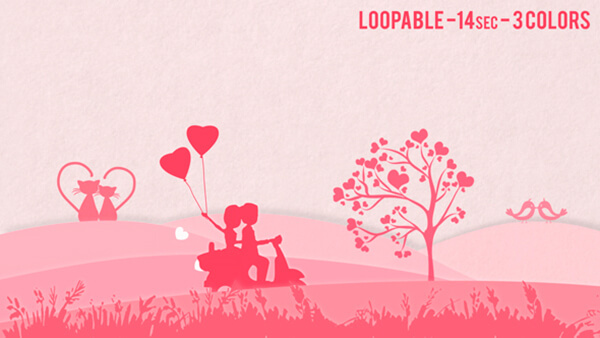 A cute and sweet loopable animation for your Valentine’s Day messages. 3 colors are included (green, blue, and pink). A holiday Stock Footage quite appropriate for St.Valentine’s Day. 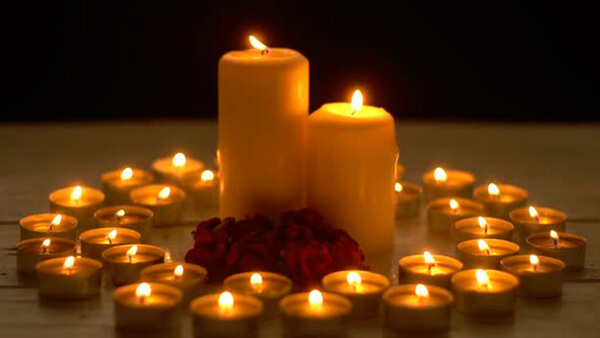 It includes light candles with flower buds of roses. And all of this is great for creating romantic atmosphere. Full HD 25 fps. 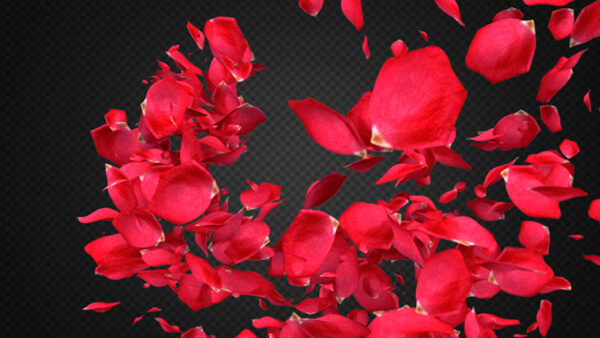 Motion graphics which includes 8 rose petals transition – quite suitable for shooting a video for St.Valentine’s Day (either a promotional one or a greeting). Full HD 1920×1080. Spend this romantic day with a lot of emotions and positive impressions!